The title of the book, “Echoes From the Past,” indeed gives us an idea of what to expect, but it will still leave you with your heart pounding. I’m not sure I could have predicted even half of the drama coming. It’s so good you might just read it twice (really, I kid you not). Phew! The author, Tayo Emmanuel, gave us a masterpiece with this one and a lot of interesting relationship lessons too. The story is told from the angle of the three main characters: Tokunbo who is a businessman, his wife Tara who is clearly consumed with having a child, and her friend Daisy who can’t seem to make her mind up about her relationship status. You might not find all the characters completely lovable, but you’ll definitely find yourself taking their sides when the ball gets rolling. “Echoes From the Past” focuses on a married couple facing the age-old dilemma of trying to conceive despite attempting using various methods, including IVF. It shows that just because behind closed doors you’re facing marital problems, the world simply doesn’t stop revolving; and this is exactly why a blast from the past in the form of an ex who is ‘the one that got away’ will turn up and still try to win you over. This happens to Tara when FG, her ex, suddenly shows up. One of the things I loved most was how being a single, unwed mother was portrayed with quite a lot of truth. Most of us know by now that the Nigerian society generally isn’t welcoming of women who have children outside the confines of a marriage. But the author did such a great job of putting a positive spin to it and showing that it’s really a woman’s choice to make these decisions. This book also addressed other important topics, including forgiveness, having good friends that hold you accountable, fertility and conceiving, the reality of marriage, and working on what you have by not throwing it away for something else. It would be a crime if you do not get this book; it is everything! 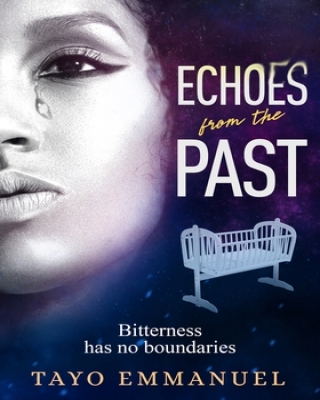 The post #LiterallyWhatsHot: “Echoes From the Past” by Tayo Emmanuel Will Make You Think Twice About Exes appeared first on BellaNaija – Nigeria breaking & top news to the World 24/7. Read Today.